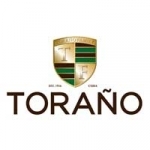 Over the years, the Torano Family has reigned supreme with their outstanding cigars many humidors were hungry for. Their library grew immensely and this sampler culminates all their hard work into one stylish pack. Inside this sampler, you’ll receive: 1 Torano Loyal Toro, 1 Torano Exodus 1959 50 Years Toro, 1 Torano Vault Blend A-008 Toro, 1 Torano Casa Torano Toro, 1 Torano Master Toro, and 1 Torano Exodus 1959 Gold Toro.